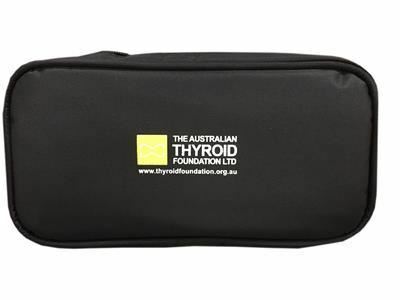 Australian Thyroid Foundation - Do I have a Thyroid Disorder? Thyroid Disorders can be difficult to diagnose, due to many symptoms being similar to those of other medical conditions. The Australian Thyroid Foundation recommend diagnosis using biochemical testing (serum TSH, T4, T3 and Thyroid Antibodies). A thyroid ultrasound is essential to determine the structure of the gland and define any physical abnormalities within the gland. If further testing is required your treating doctor may order additional screening with radionuclide scans or CT to determine an accurate diagnosis. Speak to your doctor about your symptoms, your family history, if any member of your family has an Autoimmune Disease, Thyroid Disease or Cancer. Thyroid stimulating hormone (TSH): This test is the initial indicator or thyroid disorders. TSH is produced by the hypothalamus after releasing a substance called thyrotropin-releasing hormone (TRH). TRH then triggers the pituitary gland to release TSH. The level of TSH rises when thyroid hormone levels in the blood decline. Conversely, the level of TSH declines as the thyroid hormone level in the blood rises. Thyroxine (T4): This test is used for a patient’s initial diagnosis and for monitoring thyroid replacement hormone levels in the blood. Total T4 - Measures the total amount of thyroxine in the blood. This includes the amount attached to blood proteins that help transport the hormone through the bloodstream. Free T4 - Measures thyroxine that is not attached to proteins. This level of free hormone is what exerts the biological effect. This test shows how the hormone affects the functioning of many types of body cells. Triiodothyronine (T3): Measures the level of T3 in the blood. This test is useful for confirming an overactive thyroid (hyperthyroidism). Antithyroglobulin (anti-Tg) antibodies: This test is used to diagnose autoimmune thyroid disease. Antithyroid peroxidise (anti-TPO) antibodies: This test is used to diagnose autoimmune thyroid disease, in particular Hashimoto’s Disease. Ultrasound - A thyroid ultrasound is performed by a specialist ultrasonographer or qualified Endocrinologist. An ultrasound is used to measure the size, shape and texture of the thyroid gland, as well as detecting any nodules and cysts within the gland. Soundwaves are used to build a picture of the thyroid gland. This procedure is non-invasive and painless. A gel is wiped over the neck area and a hand held probe is used to scan the thyroid area to determine diagnosis. Radionuclide Scan - A Radionuclide Scan is used to give a picture using radioactive isotope that is similar to iodine. The patient is injected with a small amount of isotape and the diagnosis is determined on the radioactive uptake. A gamma camera is used for this test. CT Scan - A CT Scan is useful for determining tumours and determining if an enlarged thyroid (goitre) is causing any compression on other structures in the neck. The contrast material injected before scanning contains iodine in large quantities. Fine Needle Biopsy - Fine needle biopsy, also known as fine-needle aspiration cytology (FNAC), is usually done with the aid of ultrasound by a specialist doctor. A very fine needle is inserted into the thyroid gland to extract tissue from a nodule/s. This tissue is sent to a pathologist for testing. A FNB is used in the diagnosis of nodules and in particular identifying cells that may be cancerous. It is not the fact that your Thyroid pathology result sits in the normal reference range, but where your result sits in the normal range! Please Note: Reference ranges for children and pregnant women may vary from the normal adult reference range. Laboratory reference ranges can also vary. Always use the reference range as your guide in regard to the ATF recommendations for your best result and consult your thyroid treating doctor. Thyroid Antibodies TPO & TGO - A positive result indicates Autoimmune Thyroid Disease, either Hashimoto's or Graves' Diseases. Thyroid Ultrasound - An ultrasound of the thyroid shows the size, shape and texture of the thyroid gland and if nodules or cysts are detected in your thyroid gland. This test is an important as all the pathology tests. So if you have an enlargement of your thyroid gland or discomfort in your neck, a cough, or have trouble speaking or breathing, please speak to your doctor about ordering a thyroid ultrasound. Additional Scan - Thyroid CT Scan – A Thyroid CT Scan is a Nuclear Medicine Scan. A small amount of radioactive iodine (RAI) contract solution is injected into the patient’s arm before the scan begins. The scan will show the update of the RAI Iodine through the Thyroid Gland. Ref: Professor Jim Stockigt – ATF Thyroid News No 13, Sept 1999 – Iodine Contrast Solutions – Used in CT Scans and Other X-Rays. Time to Have Pathology Tests? Thyroid Pathology Tests should be done after fasting, as early as possible in the morning. Water can be consumed throughout the night, but nothing to eat after your evening meal. Thyroxine Replacement Hormone, Oroxine, Eutroxsig and Eltroxin SHOULD NOT BE TAKEN BEFORE THE TEST. Take thyroxine after the test and wait at least 30 – 60 minutes before you eat breakfast. Taking Levothyroxine before the test, may indicate an incorrect result. The ATF Medication Travel Pack (MTP) is available for members of the organisation to purchase. The MTP will keep your thyroxine cool whilst away from home travelling or attending pathology appointments. The ATF Medication Travel Pack is exclusive to ATF members only. Essential for those traveling overseas, the ATF Travel Pack is designed for transportation and cool storage of Thyroxine Replacement Hormone, (Oroxine and Eutroxsig).